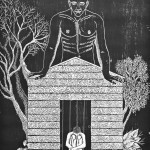 The University of Alabama Department of Art and Art History presents an exhibition of woodcut prints by Cuban artist and printmaker Aliosky García in the Sella-Granata Art Gallery, Woods Hall on UA campus. The exhibition, Entrelazado, opens November 5 with a reception on Thursday, November 12, from 5 -7 p.m. It will run through November 25. Call the department office at 205.348.5967 about visiting hours November 23-25. The University will be closed Thursday, Nov. 26-Friday, Nov. 27, in observance of Thanksgiving. A slideshow of the exhibition on Flickr.com. 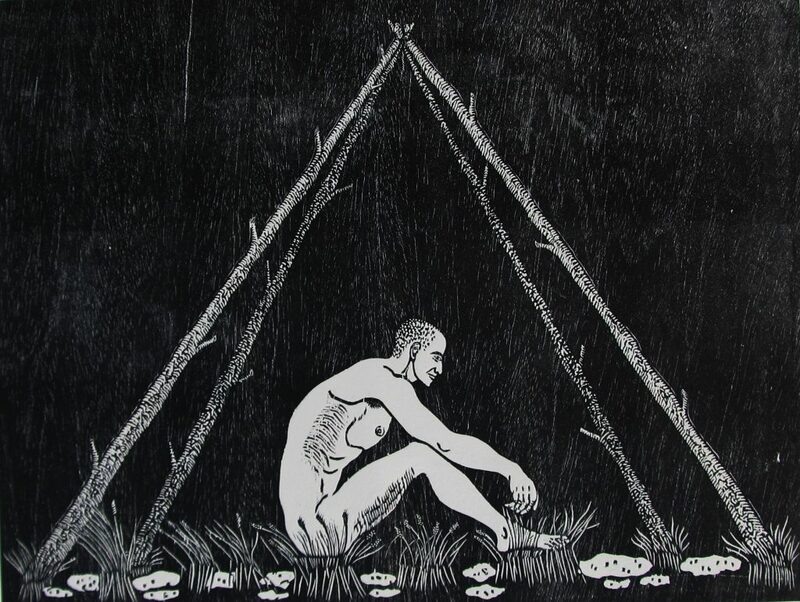 The series of woodcuts to be shown explores the varied nature of human existence and emotion. Figures are isolated against stark, black backgrounds with elements that suggest both built and natural environments. Aliosky García is a professor at Instituto Superior de Arte (ISA), Universidad de las Artes, in Havana, where he directs the printmaking studies program. Founded in 1976, ISA is the center for advanced studies in the fields of dance, visual arts, theatre, media arts and music in Cuba. García has been an artist in residence at the Bartels zum Kleinen Markgräflerhof Foundation in Basel, Switzerland. He curated the exhibition, Grabado en la Memoria (Etched in our Memory) which included artworks from graduates of the ISA. His work can be found in the Haas Family Art Library, Yale University; the Mexican American & Iberian Collections, Green Library, Stanford University and the Wifredo Lam Contemporary Art Center in Havana, among others. His artwork was included in A Misunderstanding/Un Malentendido, a group exhibition held at the Santa Fe Gallery in Gainesville, Florida, this past summer. Half of Entrelazado is García’s work. The other half are prints by various artists that Associate Professor Sarah Marshall has collected on trips to Cuba. 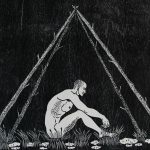 This exhibition, coordinated by Marshall, is the result of seven years of collaboration between faculty in the Department of Art and Art History and the Master of Fine Arts in the Book Arts Program in UA’s School of Library and Information Studies. We are grateful for support from the UA College of Arts and Sciences and the UA College of Communication and Information Sciences. For more information, please contact Professor Sarah Marshall: smarsh@ua.edu. 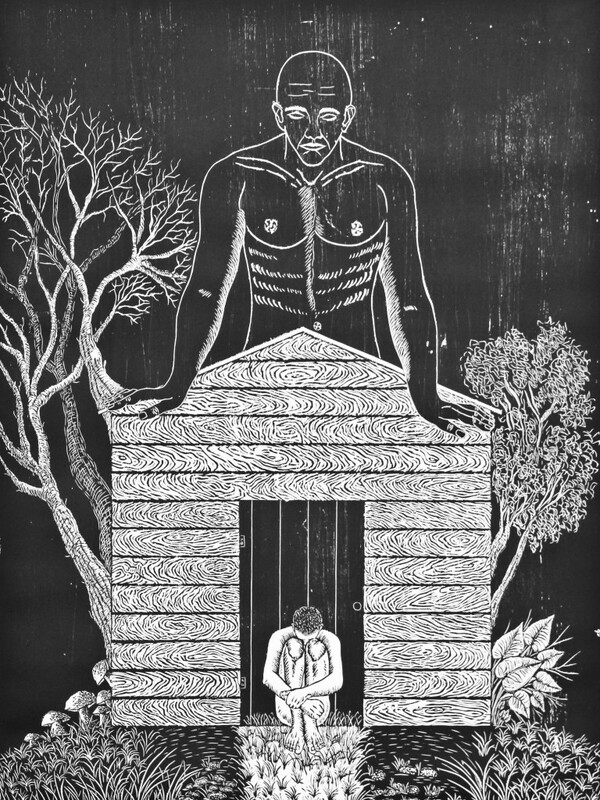 above: Aliosky García Sosa, “Solo tengo lo que soy,” 2013, xilografía (woodcut), 60 x 80 cm. 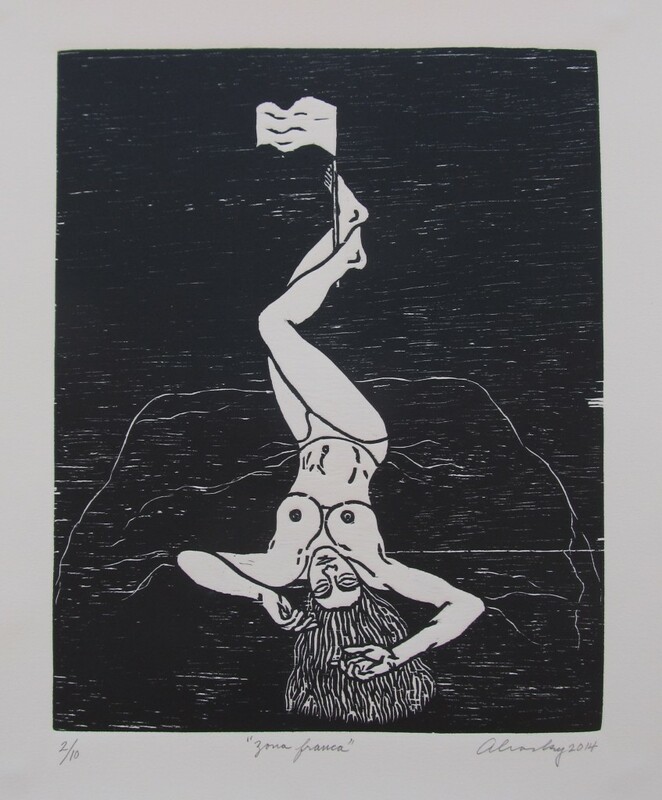 above: Aliosky García Sosa, “Tu propio cielo,” 2014, xilografía (woodcut), 79 x 59 cm. 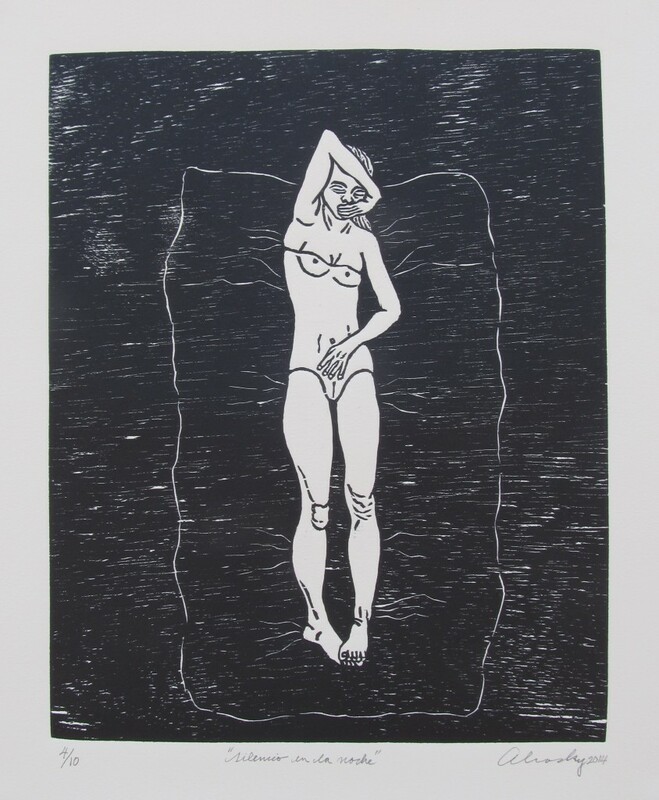 above: Aliosky García Sosa, “Silencio en la noche,” 2014, xilografía (woodcut). 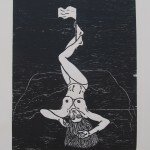 above: Aliosky García Sosa, “Zona franca,” 2014, xilografía (woodcut).